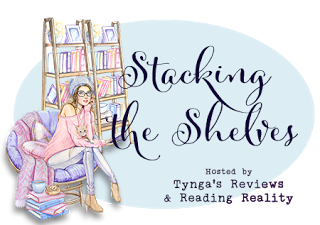 "Stacking the Shelves" is a weekly haul meme hosted by Tynga's Reviews and Reading Reality. It allows book buyers to share their accumulation of books with the online book-loving community. Oh my gosh. This week has been sooooo slooooow. I’m so glad it’s the weekend right now. As of this moment, my roommate and I are trying to find a third roommate for our apartment. We have it narrowed down to two potential applicants, but we won’t have a final decision made until after this weekend. Then, it’s time to sign the lease. Ugh. Moving, even when it’s someone else who’s moving out, is stressful. Last weekend was also BookCon. My recap for that will be up tomorrow and Monday. It’s a two-parter recap because I’m lazy. The books that I got during BookCon will be showcased in those posts, not in my Stacking the Shelves. I didn’t want to ruin the surprise. Well, it’s not really a huge surprise. I just didn’t want you all to get a sneak peek before I told my BookCon stories. I bought both of these books at last week’s Barnes and Noble Penguin Teen signing. There’s a funny story for Smoke in the Sun. Originally, I said that I wouldn’t be buying this book anytime soon because of the cover change (plus the fact that I wasn’t super invested in the first book; I just really loved the first book’s cover). However, in order to get into a B&N signing, you have to buy something. I knew going into the signing that was going to buy Warcross; however, I mentioned to my friend that if they had copies of Smoke in the Sun available for sale a few days earlier than the release date, I might buy it, just because Renee Ahdieh would be there to sign it. So that’s how I ended up with a book that I wasn’t planning on buying anytime soon. Oh, and another fun fact, I actually won a giveaway for a finished copy of Smoke in the Sun after I’d already bought the copy at B&N and had it signed. I gave the extra to my roommate. The Daenerys and Jon Snow Funko Pops were gifts to myself. I’ve been wanting them for a while, so I thought, why not? They are currently sitting in my work cubicle. Ooh nice!! I feel like it's been ages since I've been to a book signing! It was last month though. I have one in another 10 days though, so it's coming! Slowly but surely! Lol! Hope you enjoy your new reads! I hadn't been to one for more than two months until this one came along. It does feel strange not going to signings more often. Very nice! Smoke In The Sun was out earlier at my B&N too. 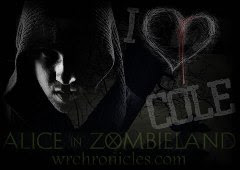 I actually just finished reading Warcross this week. I wish I could use my Pops as props for pictures. If I take mine out of the box though my daughter will play with them and lose them. Lol. Toddlers. Yikes. Toddlers and collectibles don't mix. I commend you for keeping them in their boxes. Smart decision. Good luck with the roommate search. I also hate clothes shopping. It’s stressful, and expensive, and I don’t understand why some people love it. I hope you enjoy your new books! Glad you agree! Clothes shopping is terrible! I actually recently bought Warcross too - maybe a month back. I still need to read it and hopefully will soon. 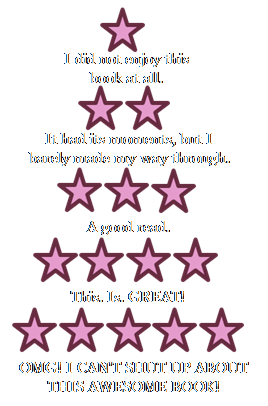 I hope you end up enjoying the second book from Renee Ahdieh better than the first one. I hate it when they change the covers like that. I think they should just wait and do different paperback covers, but keep the original theme since most book lovers want their books to match. Ugh. I do a lot of clothes shopping online. It just takes too long in the stores! Have a great week! Yes! Why can't they just change the paperbacks?! Life would be so much easier! I actually feel like my week has aso been slow. It was both good and bad. And I also have a funny book story this week :) Have a great week!